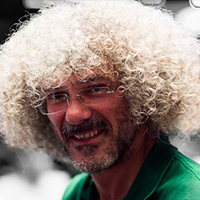 Before making his mark on the poker world by beating renowned pro Amarillo Slim at the World Heads-Up Championship in Vienna in 2001, Bruno Fitoussi was an architect, music producer and founder of the consulting firm VIP Gaming, where he still serves as president. Partially credited for the emergence of Texas Hold'em in France, by 2004 Fitoussi had been voted into the European Poker Hall of Fame. Since 2005 he's enjoyed success at a range of live tournaments, accumulating $2.4m in winnings. Fitoussi also created the poker magazine 52 which is widely distributed in casinos all over France.